Adjusting in a one time. 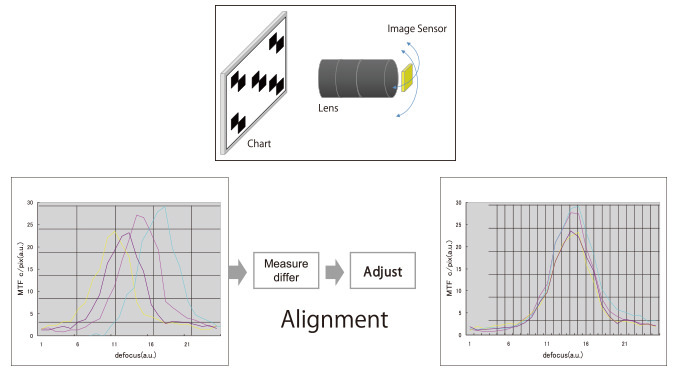 It calculates the adjusted value of alignment with defocus MTF data, This process can be done in a one time.The time to adjust will be shorter than the method how to check with humans eyes. Checking the projection by humans eye is not faithful.And it depends on skill of each person.This product will be good solution to work stable and saving the time. MTF operation time is very fast. Measurement being done while the defocus being searched. MTF is also measured in a same time. 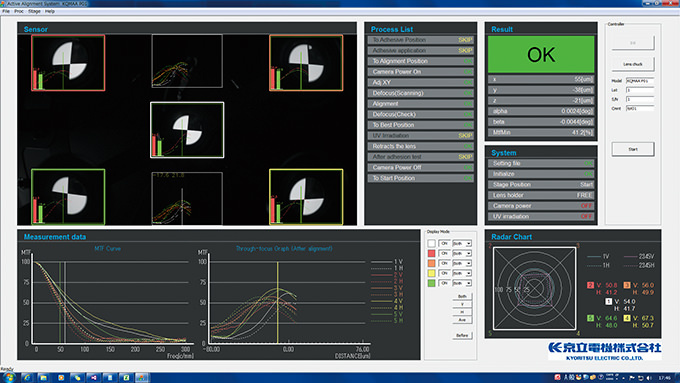 When you need to measure the next subjects, we can coordinate you own unit speedy.I/FBOX, Defocus data and alignment adjusted value can be changed quickly. Copyright(c)2013 KYORITSU ELECTRIC CO.,LTD. All rights reserved.